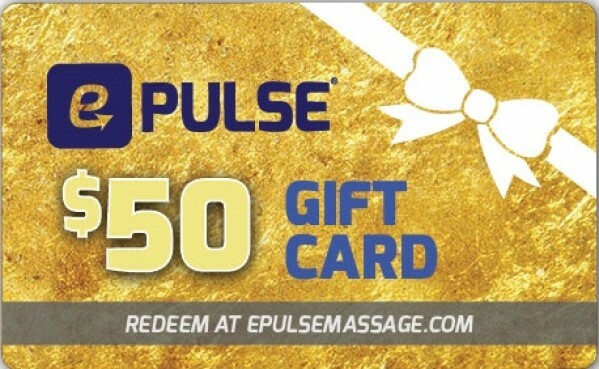 ePulse Gift Cards ("Gift Cards") may only be redeemed toward the purchase of eligible goods provided by ePulse on ePulseMassage.com. Your ePulseMassage.com Balance displays the total remaining balance of your Gift Card not yet applied to a purchase. Purchases are deducted from your Gift Card balance. Any unused ePulseMassage.com balance will remain on your Gift Card until its expiration date. After the expiration date, an inactivity fee of $5.00 per month will be charged against the gift Card remaining balance as allowed by the laws in your state of residence (defined as the billing address used when the Gift card was purchased). If a purchase exceeds your remaining balance, the remaining amount must be paid with another payment method. To view your ePulseMassage.com Gift card balance, visit your account on ePulseMassage.com. No fees apply to the original purchase of Gift Cards. Neither your ePulseMassage.com balance nor your Gift Cards may be applied to the purchase of products at any website other than the website(s) listed in Section 1 above. Your ePulseMassage.com Balance cannot be used to purchase other Gift Cards. Gift Cards cannot be reloaded, resold, transferred for value or redeemed for cash, except to the extent required by law. 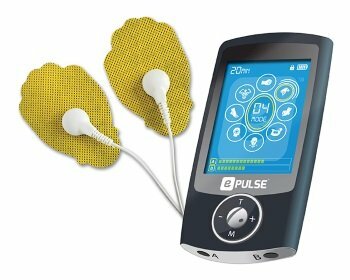 No portion of your ePulseMassage.com Balance may be transferred to another ePulseMassage.com account. The risk of loss and title for Gift Cards pass to the purchaser upon our electronic transmission of the Gift Card to the purchaser or designated recipient, or our delivery to the carrier, whichever is applicable. We are not responsible if any Gift Card is lost, stolen or destroyed or your ePulseMassage.com Balance or any Gift Card is used without your permission. 4. Use of ePulseMassage.com Balance or any Gift Card in Violation of these Terms and Conditions. We reserve the right to void Gift Cards or any other component of your ePulseMassage.com Balance, close customer accounts and bill alternative forms of payment if we suspect that a Gift Card is obtained, used or applied to an ePulseMassage.com account (or your ePulseMassage.com Balance is applied to a purchase) fraudulently, unlawfully or otherwise in violation of these terms and conditions. WE MAKE NO WARRANTIES, EXPRESS OR IMPLIED, WITH RESPECT TO GIFT CARDS OR YOUR ePulseMassage.com BALANCE, INCLUDING WITHOUT LIMITATION, ANY EXPRESS OR IMPLIED WARRANTY OF MERCHANTABILITY OR FITNESS FOR A PARTICULAR PURPOSE. IN THE EVENT A GIFT CARD IS NON-FUNCTIONAL, YOUR SOLE REMEDY, AND OUR SOLE LIABILITY, WILL BE THE REPLACEMENT OF THAT GIFT CARD. CERTAIN STATE LAWS DO NOT ALLOW LIMITATIONS ON IMPLIED WARRANTIES OR THE EXCLUSION OR LIMITATION OF CERTAIN DAMAGES. IF THESE LAWS APPLY TO YOU, SOME OR ALL OF THE ABOVE DISCLAIMERS, EXCLUSIONS, OR LIMITATIONS MAY NOT APPLY TO YOU, AND YOU MAY HAVE ADDITIONAL RIGHTS.